Finally, Honda cars India has launched the modified Honda City with CNG fuel option in India that cost at just Rs. 9.44 lakh. 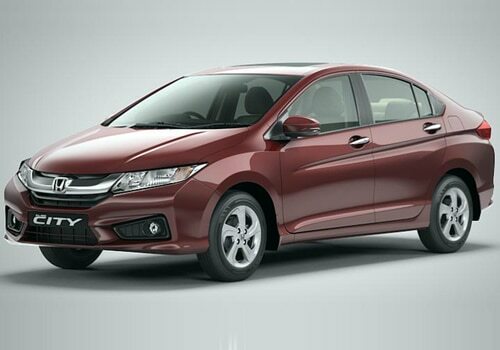 Honda City has been the flagship sedan car of Honda Motors and it will now be available with CNG bi-fuel option. The company planned to launch it a long back and now the day has finally arrived. Now the new Honda City CNG price will start at just Rs. 9.44 lakh. It will be an ideal vehicle for those who are looking for a vehicle with alternative fuel option and unmatched performance. The all new Honda City CNG pictures suggests that the company has not made any changes to its appearance but modified its fuel option, which will definitely provide option for the customers to choose according to their lifestyle and requirements. The company is charging an extra sum of Rs. 50,200 for the existing variants to install the CNG fuel kit. However, this option will be available in V grade Honda city and the buyer will be getting Honda certified CNG fuel kit. When it comes to the New Honda City CNG features and specifications, Honda City CNG will be coming with 1.5 liter 16v SOHC i-VTEC engine that has the displacement of about 1497cc. however, it is mated with manual transmission gearbox but we can expect that the company may lunch automatic version in this version in the coming future. The company has rolled out a vehicle that can perform exceptionally well with CNG fuel option. It can generate a maximum power of 116.3 Bhp at 6600 Rpm and can make a torque power of about 146 Nm at 4800 Rpm. The power generated by this vehicle is simply good compared to other sedans with same engine displacement. The average mileage after installing alternate fuel option will make up to 16 Kmpl, which is very impressive. All these reasons made it to become among the most popular Honda Cars in India. It will far more than worthy to purchase this new version of Honda City as it is fuel efficient, high performing, stylish, and most importantly, it is a cost efficient luxury sedan. With just watching the new Honda City pictures, one would fall in love with this premium sedan as it looks amazing. It is crafted for the people who look for vehicles with next generation design. It is too early to provide the all New Honda City Reviews as it is yet to come on roads. on the whole, affording money on this premium sedan will return complete value for money. Skoda cars launched Skoda Rapid, A sedan to compete with others.